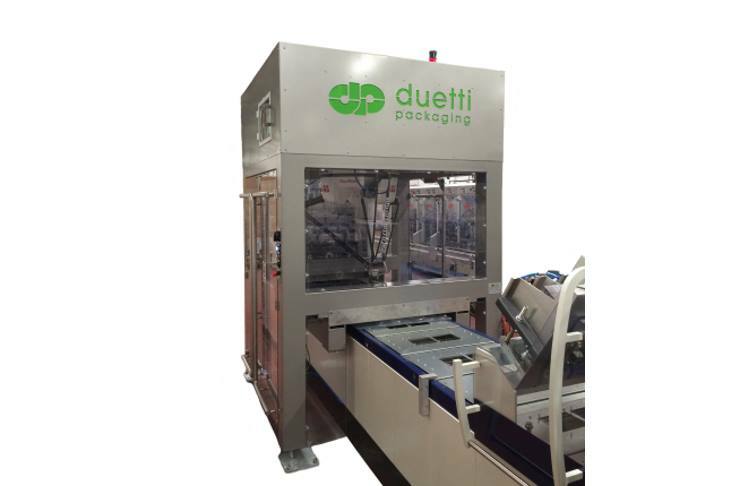 DUETTI PACKAGING designs and produces a wide range of mono-block/pick & place carton packers to meet the different needs of the market with a range of products designed and manufactured around the product to be handled. 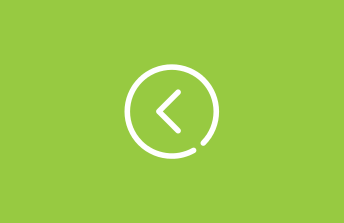 The multi-sector experience DUETTI ensures we can work with all types of product, transferring technical knowledge from one sector to another, allowing the customer to access the most innovative technology and product handling compared to the competition. 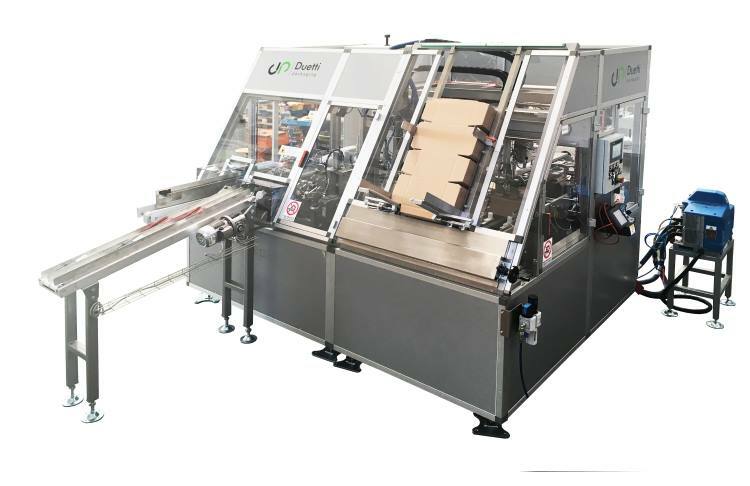 The carton separators inserter can be integrated into a packer or a separate machine on the line. 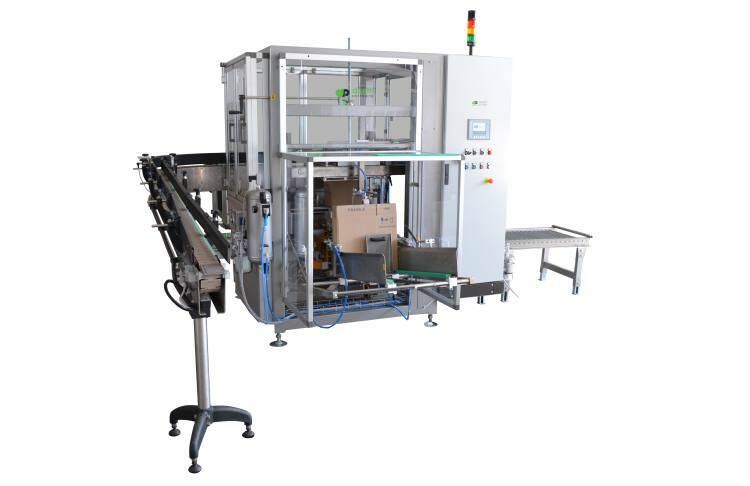 The separator is taken from the magazine and then opened, a second axis grabs and places it inside the carton after the product has been placed in the carton. 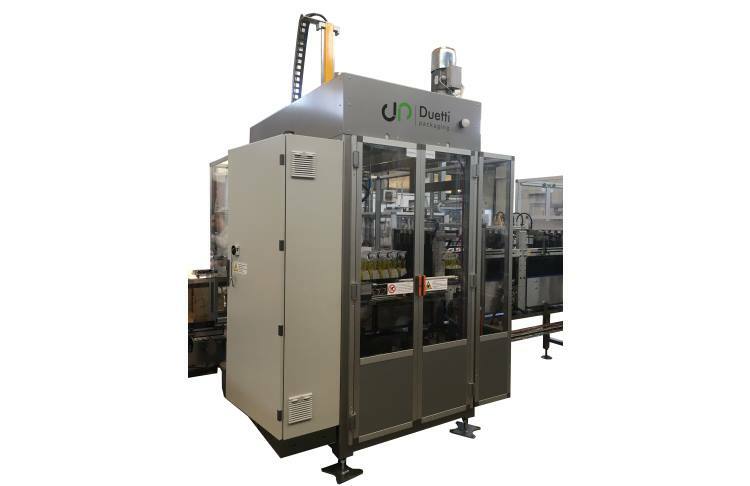 In this way a second carton separator can be prepared whilst one is placed in the carton. 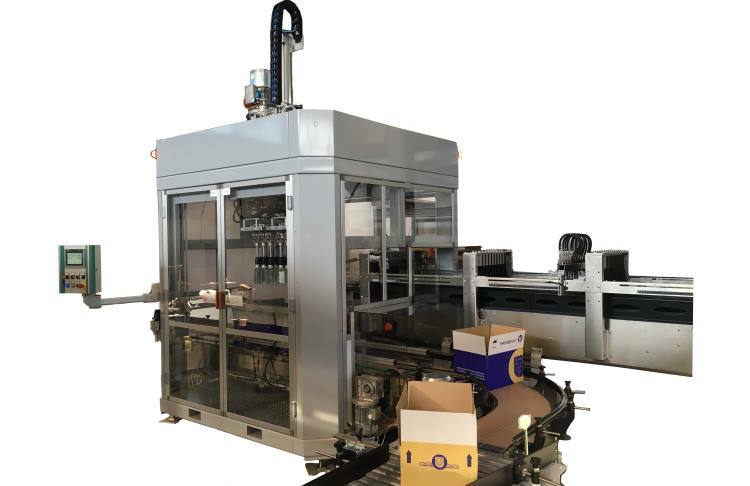 Cartoning machine to pack the product in a carton composed of a base and cover, also known as display box. The same type of machine can be used for packing in trays. 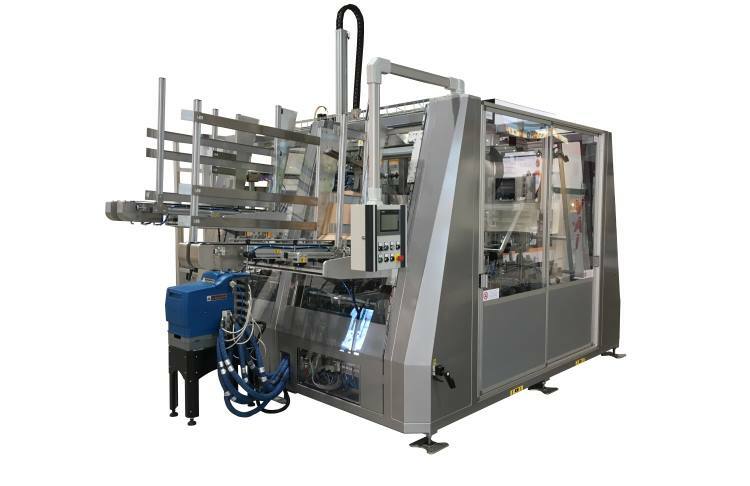 Vertical cartoning systems which can be used in all sectors which in a single machine allow carton forming, packing and closing. Vertical product insertion in the carton. 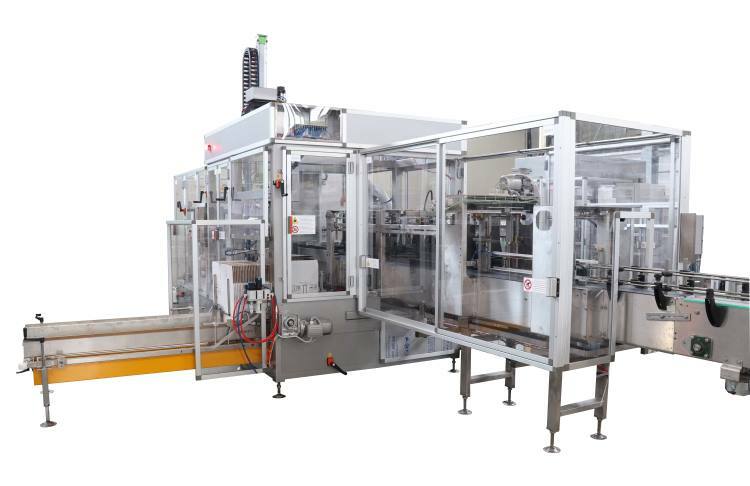 The product lott which has previously been prepared in the required configuration is placed inside the carton with a vertical movement . The pick-up head modules can be switched over with ease by an unskilled operator. Wrap-around packers form the carton around the product from a flat blank. 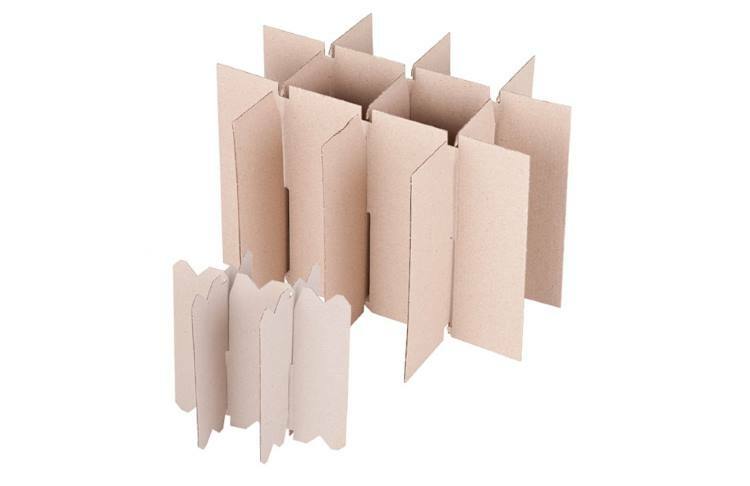 This type of carton forming ensures a high level of product stability inside the carton.